The Dead Sea is not a sea but a salt lake, which is a type of lake which has a higher concentration of salt and minerals than any natural lakes in the world. It is very significant in history and was often cited in the Bible both in the Old and New Testament. This was once the site of King David's refuge and Jesus Christ was also told to have walked above its waters. The Dead Sea is also known as the Sea of Death because no macroscopic living things can thrive in it. The high salinity of the water makes it impossible for life to form except a very few bacteria and fungi. In fact, the water from the Dead Sea is 9.6 times saltier than the ocean. 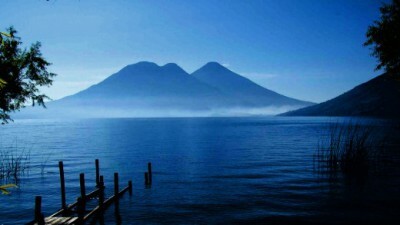 Lake Atitlan in Guatemala is considered to be one of the most beautiful lakes in the world. It is the deepest lake in central america with an average depth of 220 meters and maximum depth at 340 mts. Three volcanoes surround its southern flank!! Lake Berryessa is the largest lake in the Napa County, California. It is critical because it is not only a tourist attraction but more so, it generates hydroelectricity to the North Bay region of the San Francisco Bay. 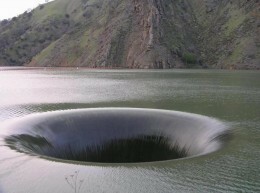 What makes it interesting and surprising is the bell-mouth spillway located on the south-eastern side of the lake. This "Glory Hole" is the largest of its kind with a diameter of 72 feet. The hole has a vertical drop of 200 feet and shrinks down to 28 feet. Once the water level reaches the maximum level, the spillway becomes submerged, and it swallows excess water at an unbelievable rate of 48,800 cubic feet per second. The excess water goes into a concrete pipe 700 feet away from the lake on the other side of the dam. Crater Lake is a lake formed during the collapse of Mount Mazama 7,700 years ago. It is a lake caldera which is 2,148 feet deep and considered the deepest in the United States and 7th or 9th deepest lake in the world depending on the depth measured. There are no rivers or any other bodies of water connected to the lake. Because of this, the water in the lake is considered one of the purest because of the absence of pollutants. The water is very clear, and it has a visibility of up to 43.3 meters. Lake Baikal is a rift lake which is a type of lake that is formed by continental crust being pulled apart. 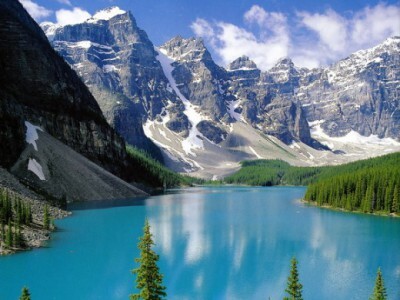 It is the deepest lake in the world with a depth of 1,642 meters (5,387 ft). The bottom of the lake lies 1,186.5 meters below sea level and underneath the lake floor is where the 7 kilometers of sediments are located placing the rift floor some 8-11 kilometers below the surface. It is the deepest rift on Earth and is still not explored. Americans and Russian scientists study the core sediments and interestingly enough, each sediment contains detailed climactic records dating as far back as 250,000 years. 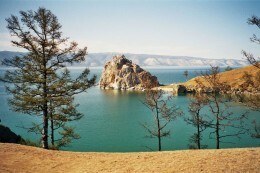 This means that Lake Baikal is one of the oldest or most ancient lakes in the geological history. Its age is estimated at 25-30 million years. Abraham Lake is a man-made lake in Alberta Canada, upper north of the Saskatchewan River at the foot of the Canadian Rockies. It is breathtaking during summer but what makes it amazing is the frozen bubbles found underneath the lake during the winter season. These frozen or ice bubbles underneath are piled up together like bluish white cotton wool or white rocks piled on top of each other in an orderly fashion. 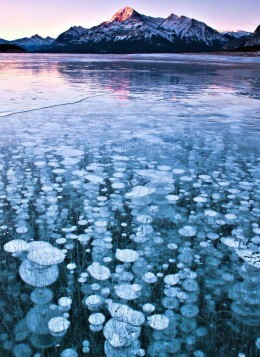 These frozen bubbles are methane gas that is produced when bacteria at the bottom of the lake decompose organic matter like animals, plants, and trees that died and sank to the bottom. Once methane is released a bubble is formed, and it rises to the surface and evaporates in the air. During Winter season, these bubbles are trapped when the lake is frozen and are unable to escape. These forms the ice bubbles because methane gas gets frozen when it comes in contact with a colder surface. Once the ice is cracked, the bubbles pop and methane is released into the air.